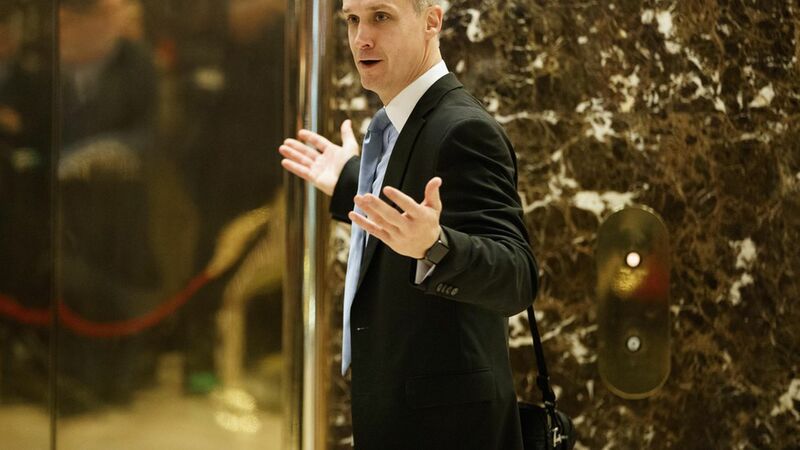 A hot topic of conversation the past 48 hours among sources close to President Trump: Corey Lewandowski's decision not to register as a lobbyist. Lewandowski, who runs a political consulting firm that advertises its proximity to the White House, talks to the president regularly, including visits to the West Wing. But he insists he's doing no lobbying for his clients, whatsoever. This situation is fast developing into a major PR problem for Trump's former campaign manager. I'm told multiple media outlets, including the New York Times, are investigating Lewandowski's firm. Politico's Ken Vogel and Josh Dawsey published a deeply-reported story a couple of days ago that says a second firm Lewandowski co-founded appears to have offered access to the President. A document provided to an Eastern European politician by an international consulting firm that Lewandowski co-founded this year promises to arrange "meetings with well-established figures," including Trump, Pence, "key members of the U.S. Administration" and outside Trump allies. [Barry] Bennett...[Lewandowski's business partner]... said that he hadn't seen the Washington East West Political Strategies document. He acknowledged, though, that he and Lewandowski started the firm. I asked Lewandowski on Sunday about his decision not to register as a lobbyist. He wouldn't explain himself, but instead kept telling me to contact his clients. Lewandowski then sent me a statement from his firm's lawyer John Mino, which said the firm and its employees "take their compliance obligation seriously," and are fully compliant with lobbying disclosure laws.